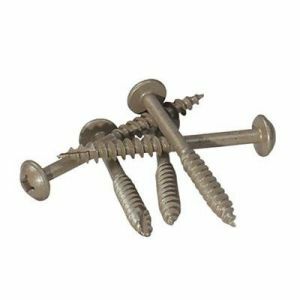 We supply coarse threaded screws in a wide range of lengths and head types (Washer Head & Pan Head). 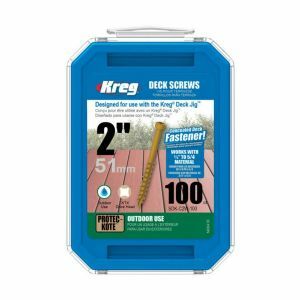 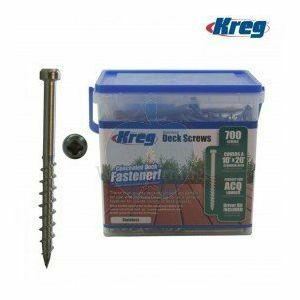 COARSE thread screws offer advantages in softer materials such as plywood and particle board as their larger thread diameter provides greater holding power. 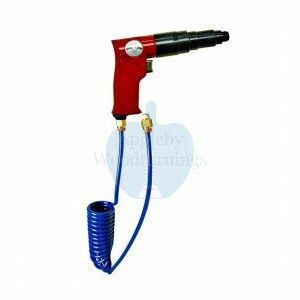 The Washer Head is designed to seat securely in the bottom of the pocket providing a consisent clamping force on the joint line. 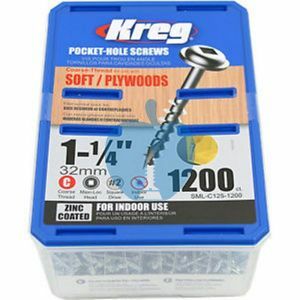 The Pan Head is a slightly smaller head size which allows it to easily get below flush when jointing 1/2" materials such as chipboard or plywood applications. 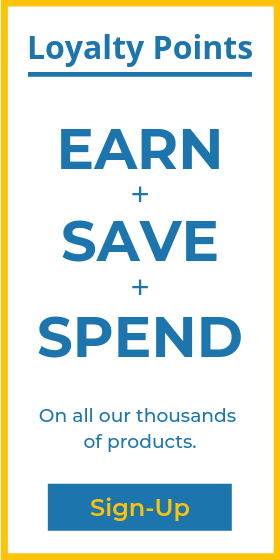 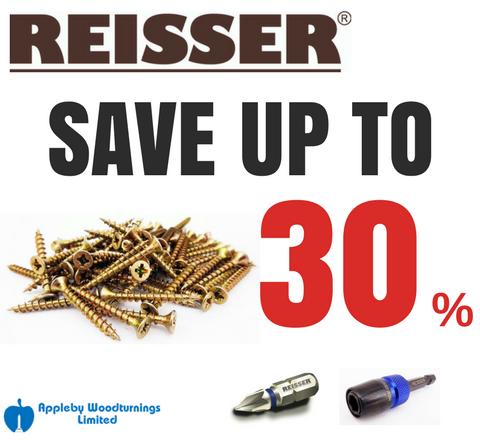 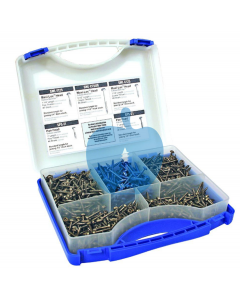 Blue-Kote weather resistant screws are also available providing up to 400% more weather resistance than zinc-plated screws. 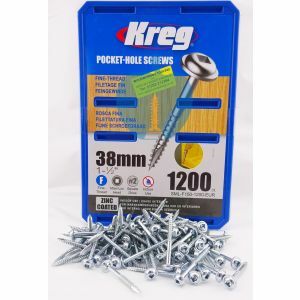 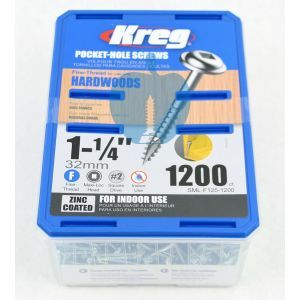 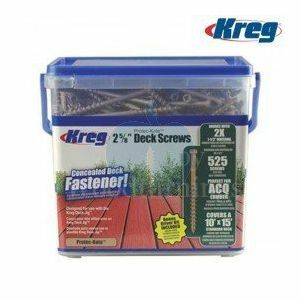 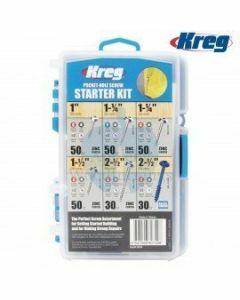 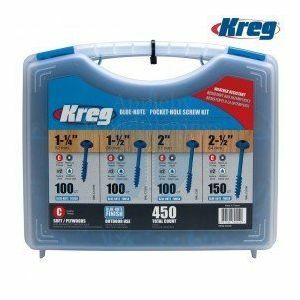 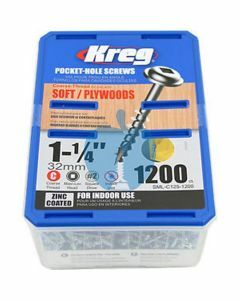 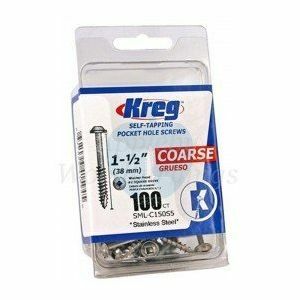 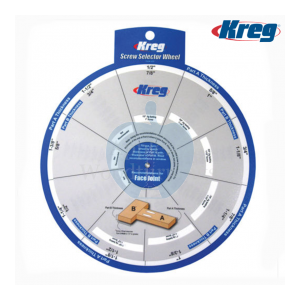 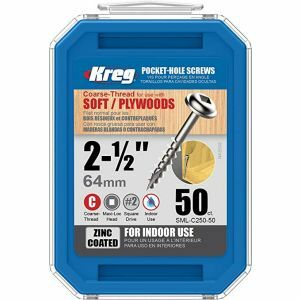 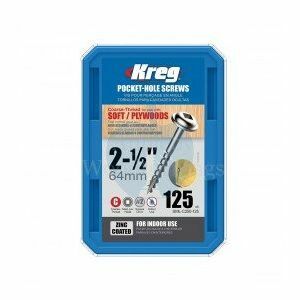 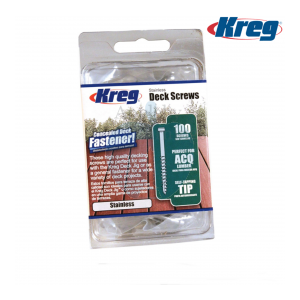 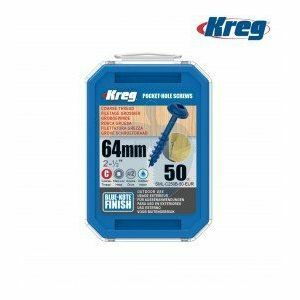 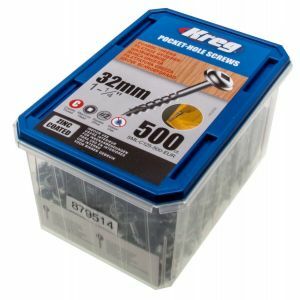 500 Kreg screws 32mm (1inch 1/4) SML-C125-500-EUR Coarse Thread Washer Head No 8 x 1-1/4"